We are thrilled to have you join us as we remember Frank H. Donovan and celebrate fitness in NH! Frank was a long-time member of the Rotary Club and a regular volunteer at the annual Balloon Rally. 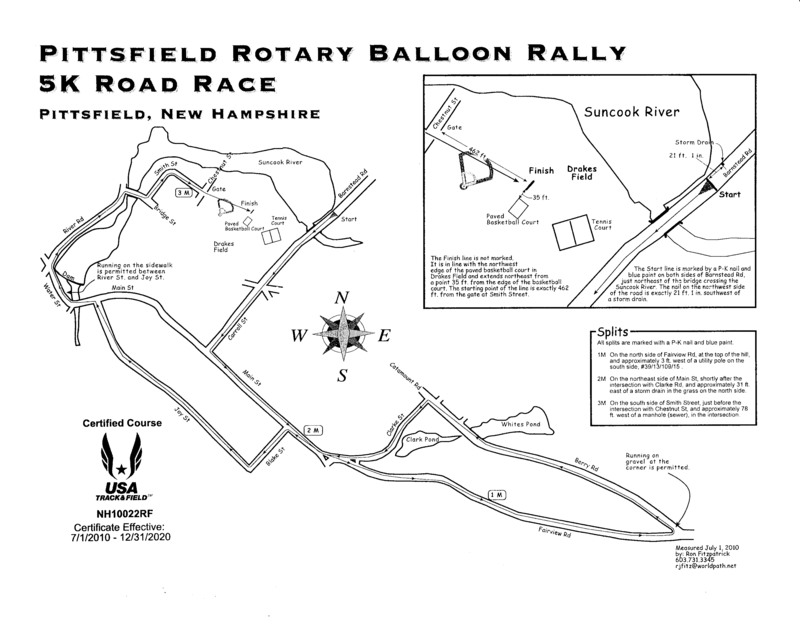 He helped with planning the Rally's 5K for many years and was committed to supporting road races across NH through his involvement with Northeast Delta Dental sponsorships. Though not a runner himself, Frank was a dedicated "speed walker" and biker, an avid tennis player, and loved skiing and hiking in the White Mountains. He believed in encouraging everyone to enjoy exercise, and we remember Frank with this race by uniting his love for the Balloon Rally, the Rotary, and fitness! All proceeds from the race will benefit the Suncook Valley Rotary Frank H. Donovan Scholarship Fund to help support deserving local high school students who are pursuing post-secondary education. Online registration closes at 12:00 pm on Friday, August 2nd. Packet pickup starting at 8:00 am on race day at the gazebo at Drake Field. Race day registration will be at the gazebo and cost $25, cash or check made payable to Frank H. Donovan 5K. Children 12 and under are $10 on race day. Support the race even if you cannot attend this year! We will mail you a race t-shirt by Aug. 31st.